Villa La Estancia Beach Resort & Spa Riviera Nayarit sits on the shores of Banderas Bay at the northernmost point of Nuevo Vallarta. Its location in an exclusive residential neighborhood provides for a serenely private vacation experience, while its position in between the popular destination of Puerto Vallarta and the treasures of Riviera Nayarit give guests access to the best the region has to offer, including a variety of Puerto Vallarta tours, Nuevo Vallarta restaurants, shopping, and a myriad of fun things to do in Puerto Vallarta and Riviera Nayarit. Riviera Nayarit is a region located on the Pacific Coast of Mexico that stretches from Nuevo Vallarta in the south all the way to San Blas in the north. Peppered with picturesque beach towns, Riviera Nayarit is a haven for vacationers looking for a travel destination filled with discovery and adventure. When staying at our Nuevo Vallarta all inclusive resort, head out for a day trip to the nearby towns of Bucerias, Sayulita, Punta Mita, and San Pancho for a truly incredible experience. Villa La Estancia Riviera Nayarit sits on Flamingos Beach, one of the best beaches in the region for swimming, paddle boarding, playing with the little ones, and more! The shallow waters and expansive beach is the perfect playground for the whole family. Surrounded by emerald green jungle and Banderas Bay, Villa La Estancia Riviera Nayarit is truly the best Nuevo Vallarta all inclusive resort for those wishing for a tranquil escape that still provides the proximity needed to enjoy numerous adventures and things to do in Nuevo Vallarta, Puerto Vallarta, and Riviera Nayarit. 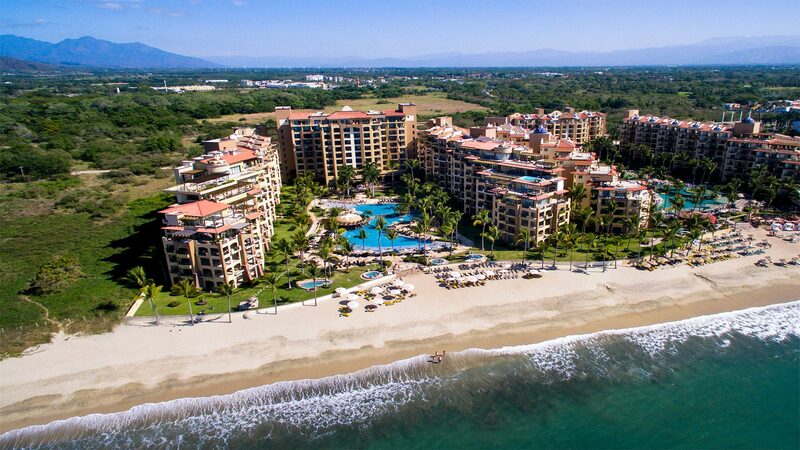 Villa La Estancia Beach Resort & Spa Riviera Nayarit is situated on Flamingos Beach, a strip of sand that stretches nearly 8 miles along the coast of Banderas Bay. By far one of the nicest beaches in the region, Flamingos Beach is a great place for a morning jog, playing in the gentle waves, or taking a sunset stroll.